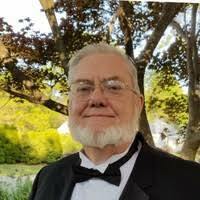 His topic will be "Tall Ships Festival"
"Ed Tonkin, BA History, Masters Education"
Ed is a Museum Volunteer Manager at the Erie Maritime Museum and U.S. Brig Niagara. He has been active at the museum as a guide, coordinator, speaker and manager at the museum since 2007 bringing the history of the War of 1812 to life and the recreated Brig Niagara at the Erie Maritime Museum for school groups, bus tours, and those visiting Erie with enthusiasm and humor. His responsibilities include managing the Erie Maritime Museum's Volunteer Staff (approximately 50 Volunteers), scheduling the regular week's positions and any additional staff as needed. In addition he is responsible for training these Volunteer Staff, members all of this Staff's safety and morale, the Coordination of Tours by Schools, Corporations, Commercial Ventures, and Scout Groups, and all of the museum's Speciality Programing on campus or off. Please join us on May 1, 2019 at 6:00 pm, for our pre-dinner cocktail and chat time and remember to bring your friends and acquaintances. Reservations are required.